Of course, your home tells a story that you adore, but it’s key to ask yourself, what is it telling a potential buyer? The end goal of staging is to transform the narrative of your home so that it no longer speaks only to you, but a pool of potential buyers that will receive said story in a “compelling and positive way.” Buyers can easily be sidetracked when they see too many personal items and it takes attention away from the “main event,” so to speak. Every homeowner has their own assortment of clutter and yes it can serve as another distraction, but more importantly, it could potentially send the message to a buyer that there isn’t enough space in your home. For example, if you have a large number of small appliances on your kitchen counter for convenience, it can indicate that there isn’t enough space in the kitchen (despite how functional it may be). It can be difficult not to take the advice of a stager personally because your home is inherently personal. However, “the best stagers will work with what you have, rearranging and reallocating all of your belongings, in order to present the property in its best light.” Remember to appreciate the neutral, third-party perspective of a stager and prepare yourself for a bit of inconvenience, as your daily routine will be temporarily interrupted by changes to your home. When it comes to making the decision to stage a home, it’s hard to ignore the financial implications. Staging should be considered an investment and provides a great return. 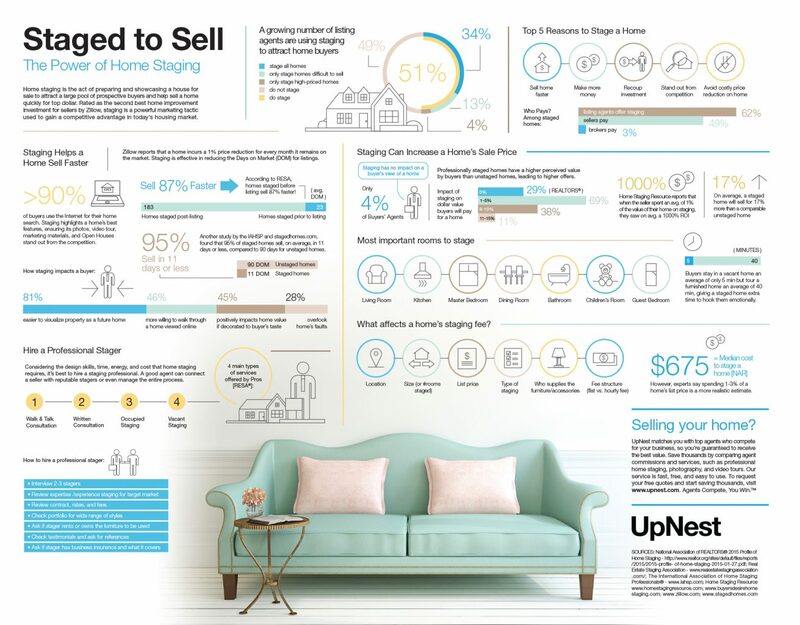 According to Upnest, on average, a home that has been staged will sell for 17% more than a comparable one that was not staged. Further, the National Association of Realtors® reports that nearly half of buyers’ agents said home staging increased the dollar value their clients offered, while 77% said staging made it easier for their clients to visualize themselves living in the home.